one of four-leaf clovers that I found last year...if you would like it, just post a comment (see instructions at the end of the post) I’ll choose a random winner on Friday the 26th. Since my early 30’s, I’ve believed that I could find four-leaf clovers. This realization came to me in a flash while sitting on the lawn by the UNH swimming pool. As I was talking to my (then) husband, I reached behind me (without looking) and said, “I’m going to pick a four-leaf clover for you.” And I did. I was astonished, and I think he thought that I was playing a trick, but I wasn’t. I just did it. Since that time, I’ve found dozens of them. A few times, I tried to show off and impress someone by telling them that I could find four-leaf clovers anytime I wanted, and at those times, I didn’t find any. The Universe just doesn’t reward smugness. …and when it comes down to it, I’m glad of that. I don’t like it either. I’d rather be surprised and delighted by life, than think I have it all figured out (which of course I, or any of us for that matter, could never do, but that doesn’t stop us from thinking we can). I am coming to see that It (God, Spirit, The Field, Love) responds well though, to open-hearted play. The attitude of “I have no idea what is going to happen in the next moment, but bring it on. It is going to be fun!”, seems to be a mind-set that gets Divine Energy flowing. I was listening to a CD by Richard Bartlett (the founder of Matrix Energetics) the other day and he said that he tries to live each moment as if he is on a shamanic journey; you never know what is going to show up, but whatever it is, you play with it, you accept it, you say Yes to it. Here is a way to get into the spirit of Spirit: The next thing that is presented to you, that feels like a closed road, a disappointment, something you fear won’t work out, or just something that is so odd, you are having a hard time processing it, instead of resisting, shutting down, becoming angry, or trying to make it conform to what you think should be happening, try saying, “Now this must be perfect. I am looking forward to seeing where this journey leads me.” Be willing to be re-directed by Life, be willing to be surprised. FOUR-LEAF CLOVERS. If you would like to have the one I pictured today, just comment with a story (or a brief comment) about something that surprised you (in a good way). You can also just post a word that you like. You cannot do this “contest” wrong. Any answer is just fine! SURPRISE: comment with the name of a person (or tell a story) that always seems to surprise you…and if you are the winner, I’ll send you an extra so you can give him/her one too (I have a number of them). BLACK KITTY: my sister lives outside of Washington D.C. and has had a wonderful, friendly, young black kitty coming around. They already have 6 cats (she is my sister after all!) and cannot keep him, but is planning on getting him neutered. If you think this message is for you, then email me…mmuncil (at) verizon.net and I will connect you 2! How fun, Mary!! A ladybug flew onto my arm today as I was returning from my morning walk. I came home and Googled it … “it teaches us how to release worries and enjoy our lives to the fullest. When it appears in our life it is telling us to “let go and let God.” Boy, how I need that message right now! My story will be about my 83 year old mom and surprises! She had her first cataract surgery this past week and I traveled to where she lives to stay with her for a few days to help her with any post op care, etc. She was to begin 2 sets of drops in her eye four times a day for the first week. She had done great with the pre op drops so no worries, right? Well she tried to put in the drops and just could not get them in her eye…her depth perception and vision were off and the drops were going everywhere but in her eye. So I said that I would do them that day and we would practice together the next day so that she could begin doing them. That night, as I prayed and gave thanks for her procedure going well, I asked God to give me wisdom and show me a creative way to successfully teach mom how to put in the drops…please, I was thinking, I don’t want to have to be away from home this entire month putting drops in for mom! (But I would if I had to!) The next morning, as Mom carefully walked from her bedroom, I gave her a big smile and asked about her night. She stood there with the biggest smile on her face and said, ‘guess what?’. What? I said. “I put my eyedrops in all by myself this morning”, she said! I was so surprised and so proud of her! I jumped up and gave her a hug and told her so…and then thought, what a moment of Grace. I prayed to be shown a way to help her and God gave me even more! He gave her the ability to do it herself! I felt His wink…and each day mom got better and better! She continually surprises me! 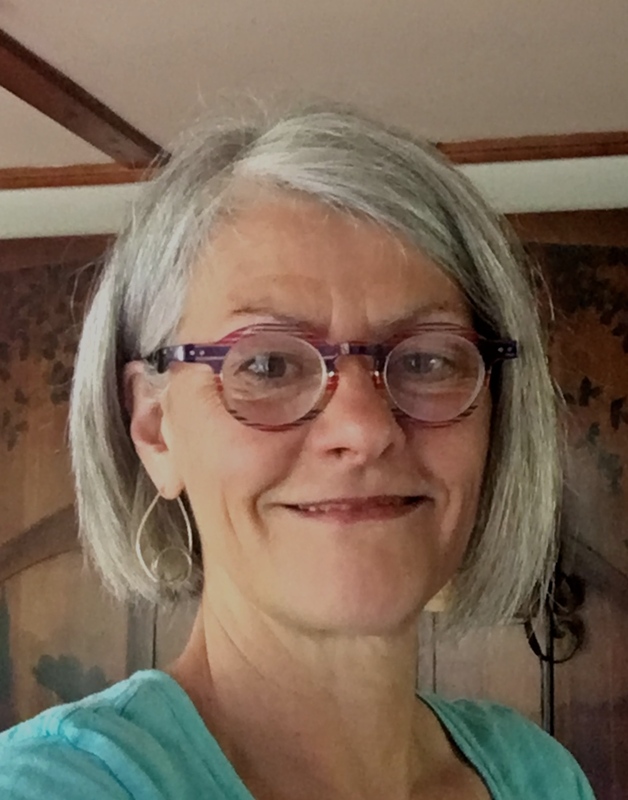 Hi Mary, I’m still a regular reader even though I haven’t written for a while, but I had to respond to this post because I have a long history of finding four leaf clovers too! It’s always makes me smile and feels like a confirmation from spirit when I need it most that I’m not alone and all is well. It started the summer I turned 12 and I must have found at least 50 of them before Labor Day that year. It still happens often enough for my husband to say I must be one lucky Irishwoman. You, also! I can’t resist this. I too have a four leaf clover story. When in my teens, my mother and I were taking a stroll on a warm afternoon. I suppose we were chatting about something, but as we walked, I suddenly realized that I’d seen a four leaf clover. I had to back up about three paces, then bent down and picked the clover. How I spotted it, and how I found it, I have no idea. I gave it to my mother. And I have always felt that Spirit was giving me a little nudge. Hi Mary – I have a bunch of clover on my property here in Cambridge, NY. I scan them checking for a 4 leafer and hum or sing outloud, “I’m looking over a four-leaf clover that I’ve overlooked before…”. The 4 leaf clover that you posted here, at first look, appeared to me to be a 3 leafer. So I will look a little differently the next time I go outside. My daughter, Katharine, found a 4 leaf clover on the Cliffs of Moher in Ireland on my Birthday a few years ago when we went on a trip there together. And, about the black kitty. Yesterday & today, I saw a skinny black kittty near the Senior Center in Cambridge ( across from the Presbyterian Church). And I thougth of you as I fed him today. That’s what I thought you were going to write about! You’re a cat wrangler AND you’ve found several four leaf clovers in your life? Is there anything that you can’t do? My 88-year-old mother surprises me frequently. We lost my father four years ago. He was talkative and many times my mother’s voice wasn’t heard. She recently told me that she had a little sister who lived only two months. I was shocked. My mother said she told me before about her sister but maybe this was the first time I ‘heard’ her. While some may think that this is a sad story, I was happy for my mother because she has two brothers and I always thought of her as being ‘sister-less.’ I’ve been blessed with four sisters and I cannot imagine life without them. My four leaf clover story is in the form of parking places..Having lived in a summer tourist area, it was next to impossible to find parking places. My late husband would always try to get me to take the first one we found even if it was a mile out of town. I would always ask out loud ,” please give us a spot near or in front of such and such a place” , and sure enough, someone would just be pulling out. My husband would jokingly say, how does this happen to you? I would just smile and say “cause I asked” !!!! I was surprised to read your story about four leaf clovers this morning. For the past couple days, for some reason, my mother has been on my mind. She passed almost six years ago at the age of almost 92. Growing up, I remember as we walked, she was always looking down for four leaf clovers and she was soooo lucky. She seemed to always find them, take them home and press them in the leaves of a book. I have looked and looked but am not at all successful. Oh, occasionally I will find one, or think I have, and it turns out to not be a four leaf clover at all. So, in reading your story this morning, it brought back so many more memories of my mother and I wish I had one of the four leaf clovers she found so often. Thank you, Mary. Your ability to find four-leafed clovers sounds magical ~ I have found one in all my 58 years ~ LOL! Your blog continues to be my food-for-thought for each day…love you!!! 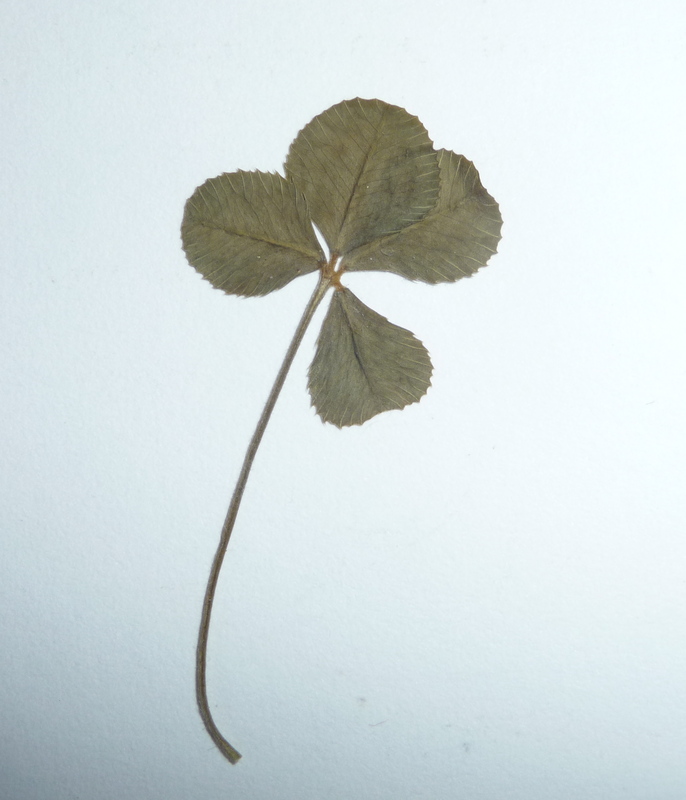 Mary – This Irish woman has never found a 4-leaf clover and would love one! I had a nice surprise yesterday. We have a lot of birds in our yard and I enjoy watching and identifying them. This summer a song sparrow has regularly been singing from our berry bushes. While picking berries yesterday, I realized I was hearing a bird rather close to me. It was a nearly grown baby song sparrow having a conversation with its mother in a neighboring tree. I was so delighted to be entertained until the young one flew off! Two days later he lay dying. His brothers and sister had come to say goodbye, as did my husband and children. Sitting quietly as he slipped away, I reflected on his life. He had not been an easy man. In time I left so that the nursing staff could begin preparations for the funeral home. It was dark and chilly in the parking lot, but the sky was speckled with stars and the faintest glow of dusk still illuminated the horizon. I turned the key in the ignition, flooding the car with one of my favorite radio programs, old time jazz music. The song? “Big Bad Billy’s Sweet William Now.” My dad’s name—Bill. Daily I struggle with remaining joyful in hope, patient in affliction, faithful in prayer while sick with chemotherapy. So I to stay alert to comforts that heal, and lo and behold! There is a 4 leaf clover. May it ease and bring joy to whomever is “lucky” enough. Thanks for keeping me company, Mary. Carol G, from a woman that completed two years of chemo, August of 2012, please continue to let your bright light shine. Big hugs of support to you!! My lumbar (spinal infusions) were the most difficult, but those 24 hour infusions and seven day hospitalizations were not the most fun, either. There is, in my humble opinion, no sickness like chemo sickness. Behold hope! Hope is wonderful medicine but to your point, sometimes a struggle to maintain; I do believe that I understand. Please know that your positive efforts are extremely well-done and I shall send a whole-mess of positive light and energy to you!! May you sleep under a blanket of 4 leaf clovers, henceforth!! This morning as I was going to work I asked Spirit and my guides to be with my son Graham today as he takes his state board test to be a Paramedic… immediately I saw an Ambulance and a minute later another car that said Paramedic on it… I think they heard me… what a great day! My favorite word is “Courage”! We feel most alive when we travel with Serendipity as our goddess. Just finished a fun and surprising week driving up the Oregon coast on the cheap. Hubby got to play “The Missouri Waltz” on his fiddle for my dear 98-yr old friend who came West 75 years ago to small town life on the Columbia River. Her sweet face shines blue eyes of wisdom. What a lucky thing to see into the eyes of someone who knew and loved your Irish eyes at six months old!